This May, China and South Korea held an inaugural meeting to accelerate their joint research initiatives on electricity and renewable energy. 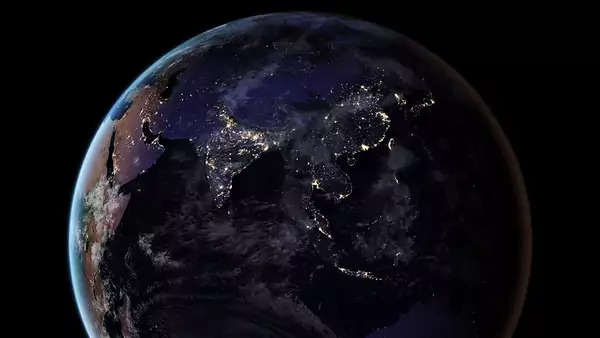 Through an initiative known as the Asia Super Grid, or ASG, the countries made plans to build an ocean-floor power network to connect their electricity grids and enable a cleaner and more efficient pan-Asian electric power system. The ASG would be a massive system of interconnected electricity grids that would allow the exchange of power from renewable energy resources like solar, wind, and hydro across the continent. It’s already been backed by China, Japan, South Korea, Russia, Mongolia, and utilities like the State Grid Corporation of China, Korea Electric Power Corporation, Russia’s Rossetti, and Mongolia’s NewCom. Even though the ASG has the potential to bring reliable and clean energy to the world’s largest region of carbon emitters, a messy assortment of competing interests and risky investments complicates its feasibility. Still, a path forward might be for Asian countries to integrate a super grid with microgrid technologies, enabling them to reap the benefits of interconnection while mitigating the risks of interdependence on neighboring countries. At first glance, building a super grid across Asia is an appealing idea. An interconnected electricity grid could enable countries across the region to benefit from greater power reliability, lower prices, and cleaner air. Russia, a country with vast hydropower capacity, could send cheaper and cleaner electricity to Japan, a country that relies heavily on natural gas. Mongolia could supply low-cost wind power from the Gobi Desert to China, reducing its local air pollution and dependence on smoggy coal. In addition to its remoteness, the intermittency of renewable energy also poses challenges to its integration into power grids. Solar power can only be supplied during the day, and wind power fluctuates depending on the weather and season. A super grid could supplement additional electricity where it is needed and collect excess power, reducing wasted energy. This added efficiency could lower costs for utilities, which need to adjust for the variability of renewable energy on a day-by-day basis. Proponents of the ASG argue that recent advancements and cost declines in ultra high voltage direct current (HVDC) transmission lines have enabled the transfer of energy across long distances. Compared to standard high voltage alternating current (HVAC) lines that waste substantial amounts of energy, HVDC lines have lower power losses, which could allow people to access renewable energy thousands of miles away. Additionally, a diverse and widely sourced mix of clean energy sources (both renewable and nonrenewable) could reduce the region’s risk of power outages. Shortly after the Fukushima Daiichi Nuclear Disaster, for instance, Japan took offline most of its nuclear power plants which had accounted for almost 30% of its electricity generation, causing an increase in expensive fossil fuel imports. And in 2011, South Korea experienced a series of blackouts due to a surge in electricity use caused by an ongoing heat wave. Connections to external sources of electricity through the super grid could act as a safeguard for countries that import and export little power by providing more comprehensive energy reserves. But while a continental and potentially global super grid could offer resilient electricity access to Asia, there are significant geopolitical and market barriers that could hinder its implementation. Europe has had a continental power grid that goes back decades. It consists of synchronous HVAC grids that are connected by transmission lines, allowing for electricity trades across 36 countries that totaled over 460,000 gigawatt hours in 2017. Even though Europe’s system of interconnected grids has undeniable benefits, its construction would have been impossible without the European Union’s multilateral adoption of the European Network of Transmission System Operators for Electricity, or ENTSO-E. ENTSO-E exists as the decision-making body that promotes European market integration and plans all electricity exchange projects. Asia does not have a cohesive political body like the European Union that can facilitate grand multilateral infrastructure development. Multilateral projects ultimately rely on geopolitical trust, especially in areas like energy supply and security. This plan could be vastly complicated by financing and legal obstacles, and access to other countries’ transmission lines and electricity could give disproportionate leverage to significant power providers and consumers. Asia’s fragmented political structure has already proven problematic in other regional integration projects, like the construction of gas and oil pipelines. The Central Asia-China pipeline experienced multiple delays and cancellations due to diplomatic failures and technical challenges. The project’s grandest pipeline, Line D, was supposed to provide significant investment to Central Asia and bring natural gas from Turkmenistan, Tajikistan, Uzbekistan, and Kyrgyzstan to China’s western region. But poor policy planning and economic barriers halted its development and pushed its expected completion from 2016 to 2020. Similarly, plans to construct a crude pipeline from Myanmar to China were repeatedly delayed because of governmental changes, renegotiations, and port transit fees. Asia’s lack of a comprehensive political framework could also leave weaker nations more vulnerable to economically dominant and influential powerhouses, like China. China has already established itself capable of taking advantage of one-sided financing agreements with developing countries, from Venezuela to Sri Lanka. These potential risks could exacerbate an already hefty price tag. China spent billions installing HVDC transmission lines that connected China’s westernmost provinces to its southern and eastern regions. And funding the construction of the super grid along with the solar and wind farms has been estimated to cost upwards of $300 billion. But that’s not to say a super grid is impossible. With recent strides in energy storage and distributed generation, super grid technologies can be combined with microgrids, which are miniature autonomous electricity grids fit for communities, islands, or even buildings. In a new model, communities could consist of many linked microgrids, harnessing local solar and wind power, and the regions of microgrids could then be interconnected by long-distance HVDC lines. A portion of the electricity could be supplied by local renewable energy generation, while the HVDC lines could provide remote clean energy during times of scarcity. Since microgrids have local control systems, they have the ability to disconnect from the central grid and operate independently. Thus, countries could have access to the advantages of an interconnected power grid without as severe geopolitical risks. Even though this plan could still experience the bureaucratic issues of regional integration, the initial part of the plan - building the microgrids - could first bring local intermittent electricity access to millions of people regardless of what happens later on.